Whether you collect wine as an investment or for sheer enjoyment, a well-made wine storage cabinet ensures that your wine develops and ages properly. But not all wine storage products are created equal. Buying wine furniture involves a complex set of factors like cooling capacity, insulation quality, and racking space. To help you choose the right wine storage cabinet for your collection, we've listed out the most common mistakes that people make when purchasing one. Better yet, we've included tips to help you avoid those pitfalls. 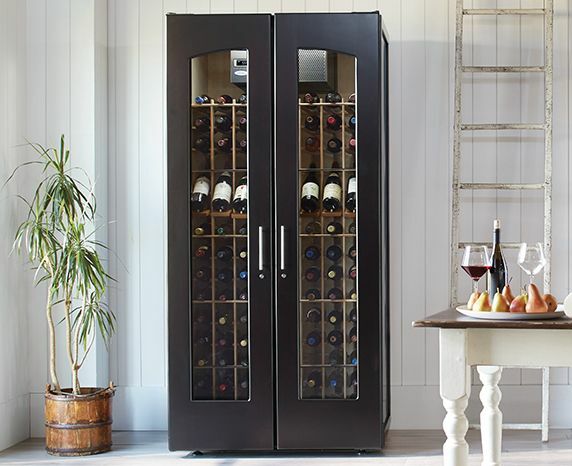 Potential mistake #1: Purchasing a wine cooler when you really need a wine cabinet (yes, they’re different!). Designed to chill wine to proper serving temperatures for short periods of time, wine coolers tend to ignore humidity while creating a cold inside environment. Though not important when it comes to storing wines for a few months, humidity is very important if you plan on aging wine bottles over longer periods. Corks need to stay moist so that they don't dry out and become brittle—otherwise, air will seep into the bottle and wine will seep out. By contrast, refrigerated wine cabinets typically keep the inside environment between 55°F and 60°F, the ideal temperature range for storing and aging wine, while maintaining humidity in the ideal 60 to 70% range. Solidly-constructed cabinets also offer the dark, undisturbed environment required for the proper storage and aging of fine wine over months, years, and even decades. Knowing the differences between coolers and cabinets, shop for the right solution to fit your goals and your lifestyle. If you’re looking for an appliance to cool wine quickly for a few days or months, you might want a wine cooler. However, if you plan on collecting and aging wines, you'll need the stable storage conditions that a refrigerated wine cabinet can provide. Read more about the differences between wine coolers and wine cabinets. Potential mistake #2: Buying a cabinet with racking that doesn't fit your bottles. You've got your beautiful cabinet moved into your house, the cooling system turned on... but, when you go to put a treasured bottle onto the rack, it doesn't fit. This frustrating scenario happens because "standard" wine racking that comes with many coolers and cabinets isn't large enough for certain kinds of bottles. Standard wine racks have 3.25- to 3.5-inch slots, which are perfect for most Cabernet and Bordeaux bottles. Large-format bottles, for wines such as Burgundy, Pinot, and Champagne, won't fit in these slots and typically require 3.75-inch slots (or larger). Before you buy a cabinet, check that its wine racking accommodates large-format bottles. Try to get as many 3.75-inch slots as possible to store increasingly popular and common large format bottles. Even if you don't plan on storing and aging wines like Burgundy or Champagne at the moment, it's wise to give yourself flexibility for the future. Don't constrain yourself to only collecting Cabernet and Bordeaux wines. Mistake #3: Selecting a cabinet that has inadequate insulation. Your cooling unit seems to be working fine, but it runs non-stop. And when you check the temperature inside the cabinet, the conditions are hovering above 60°F. Why won't it stay cool enough in there? If your cabinet isn't properly sealed off and insulated, even the most sophisticated cooling unit can't keep your wine at an optimal temperature. Insufficient or low-quality insulation allows outside heat to affect the inside temperature of the cabinet, raising it above the desired range of 55 to 60°F. In order to compensate for inadequate insulation, a cabinet's cooling unit will have to run constantly to maintain the desired temperature. The additional burden uses more electricity, creates extra noise in your home, and will shorten the life expectancy of your cooling unit. Pay attention to insulation when investigating cabinets to buy. While there's no such thing as too much insulation, consider the conditions in which your cabinet will be placed. If the environment is temperature-controlled, you probably can err on the side of less insulation and/or glass in your cabinet, to show off the bottles inside. However, if the environment will not be conditioned, remember that the higher the temperatures get outside the cabinet, the more important the quality and amount of insulation used to protect your wine collection becomes. Mistake #4: Letting a loud cooling system ruin your peace of mind. Your cabinet's cooling unit runs for most of your waking hours, and the noise is bothering you. A conspicuous whirring, buzzing, or whooshing sound can really start to grate on your nerves. Despending on the ambient temperature, a cooling unit might need to run up to 16 hours a day. As a result, noise is an important factor when choosing a refrigerated wine cabinet. All cooling units and refrigerated cabinets make some noise, ranging from the barely noticeable to the annoyingly distracting. If you plan to place the cabinet in your home, make sure the cooling unit isn’t too loud. Check noise levels for any wine cooling unit or refrigerated cabinet you're considering. Scan product information for objective facts about sounds made by the unit, measured in decibels. Don't trust qualitative judgements or claims like "very quiet" or "noiseless" without numbers to back them up. For instance, at Le Cache, we use CellarPro 1800 Series cooling units in all of our wine cabinets. You can see the noise levels for each 1800 Series model on this chart (CellarPro models are in blue). All CellarPro 1800 units run at less than 55 decibels, which is around the same as the ambient sounds in a quiet suburb. If you find that your cooling unit is too loud, and/or if the acoustics in your home amplify the sound, you can purchase a sound hood from Le Cache to further dampen the noise. Potential mistake #5: Waiting until after you purchase to look at placement requirements. Refrigerated wine cabinets require clearance either above or behind them to let exhaust from the cooling unit to dissipate and provide fresh air for the cooling unit to cool itself off. Most require up to 6 inches of clearance behind the wine cabinet. Some wine cabinets can be placed right against the wall, but those require sufficient space above the cabinet. If you decide to return a wine cabinet, be prepared to pay for the shipping charges. The expenses may be significant, depending on the size of the cabinet, your location relative to the warehouse from where the cabinet was shipped, and possible restocking fees. Since the cost of returning a cabinet is so high, it's worth the effort of measuring twice to make sure that the cabinet will fit in its intended destination and can be maneuvered to that location. Familiarize yourself with a wine cabinet's placement requirements. Use a measuring tape to check that the place where you plan on putting your cabinet allows for enough clearance for the cooling unit's exhaust. Potential mistake #6: Not reading the fine print of the return and warranty policies. You know that your cabinet came with a 5-year warranty. So, when the cooling system needs a repair, you're disappointed, even if it's long after purchase, to find out that you have to pay for the service and replacement yourself. Warranty terms offered by different manufacturers can vary greatly. It pays to understand exactly what is covered and what is excluded. For instance, does the policy cover the cost of the labor it takes to replace a part or just the replacement? If the cooling unit fails and you need to ship it out for repair, will the company send a temporary replacement to protect your collection while the other one is being fixed? Some companies offer coverage only on the compressor with no labor included, while others cover all parts and labor for the specified warranty period. While shopping, be sure to look over a cabinet's warranty policy, including the warranty on its cooling unit, if separate. If you still have questions, ask about which parts are covered, whether the warranty covers labor, and for how long. 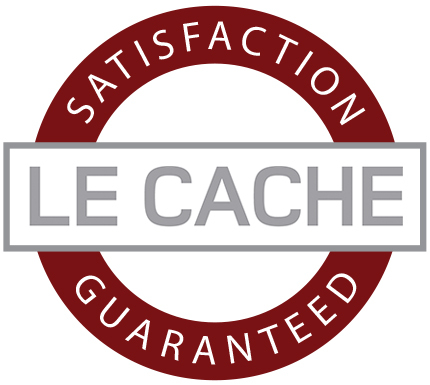 Some manufacturers, like Le Cache, offer extended warranties that cover in-home repairs and shipping charges in the event that your wine cabinet needs service. To save yourself the trouble of dealing with potential mechanical issues, you may want to consider purchasing an extended warranty from the manufacturer. Potential Mistake #7: Lacking enough storage space for your growing wine collection. You fell in love with that Burgundy you tasted in France and you want to order a case of it. But where will it go, since you've almost filled your cabinet? Avoid tough questions like that by giving yourself extra room and bottle capacity when you select a cabinet. Plan for the future by estimating how much space you think you’ll need, then doubling it. If you can afford the additional cost, and if you have the space, it's better to have too much room rather than too little. To reduce power waste, you can fill your empty racking with water or beer bottles until your collection grows to meet the size of your cabinet. Purchase a wine storage cabinet that will grow with you. While figuring out the right sizing for your collection, choose the model that can hold not only the bottles you own currently, but also additions to your wine collection.